Buy 25 Tests and get FREE SHIPPING - Screen for the presence of THC (from cannabis use) in urine. 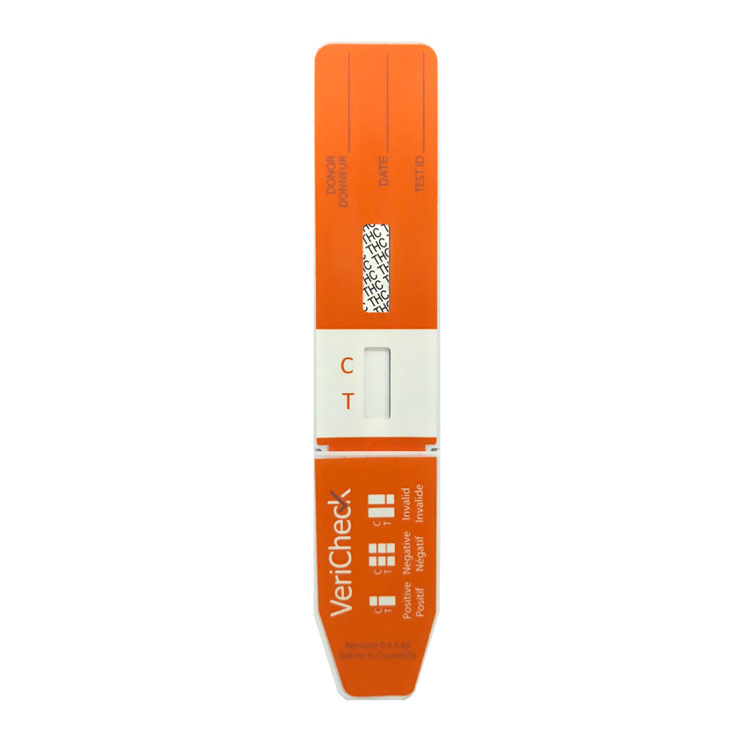 This single-panel VeriCheck device is a rapid urine test to detect and screen for THC Marijuana in a convenient, one-step test. Simply insert the test strips in the collected urine sample for 10-15 seconds and wait 5 minutes for the results. Presumptive Positive: One coloured line only is visible in each control zone. No coloured line whatsoever appears in the appropriate test zone, indicating a presumptive positive result for the corresponding drug of that specific zone. Negative: Two coloured lines are visible in the control zone and in the appropriate test zone, indicating that concentration of the drug is below the detection limit of the test or not present.